A university without any teachers has opened in California this month. The US college, a branch of an institution in France with the same name, will train about a thousand students a year in coding and software development by getting them to help each other with projects, then mark one another’s work. This might seem like the blind leading the blind – and it’s hard to imagine parents at an open day being impressed by a university offering zero contact hours. But since 42 started in Paris in 2013, applications have been hugely oversubscribed. Here are some features of the university without teachers. Please share your opinion and let’s compare it with traditional universities. 1. No teachers – “Peer-to-peer learning develops students with the confidence to search for solutions by themselves, often in quite creative and ingenious ways.” Traditional education system, encourages students to be passive recipients of knowledge. 3. 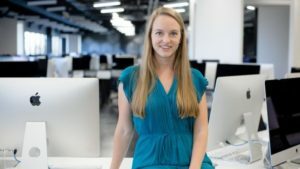 Career – Recent graduates are now working at companies including IBM, Amazon, and Tesla, as well as starting their own firms.